There will be full pig! 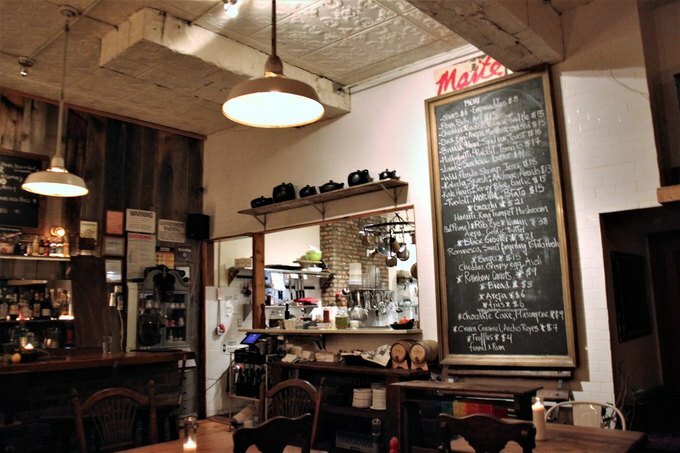 If you're staying put in Bushwick for the Holiday season, why not savor it at Maite! 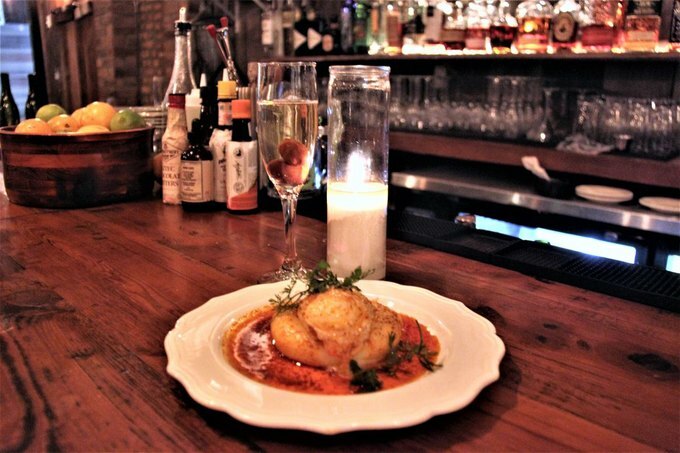 Bushwick's popular farm-to-fork eatery has prepared something truly special for the Holidays. 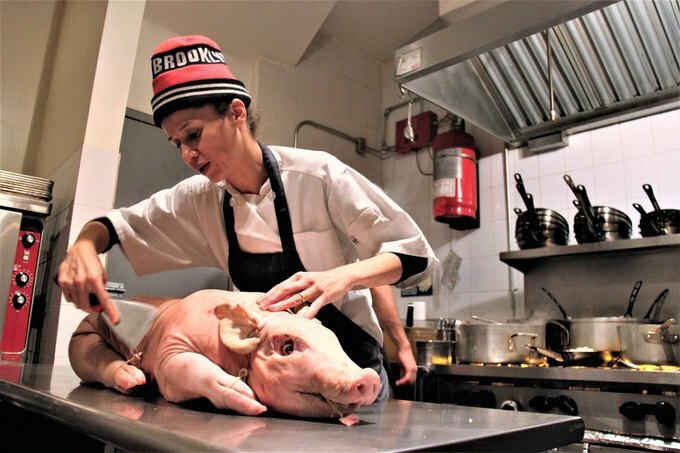 On Christmas Eve this Saturday, Maite will be serving an entire pig! On Sunday, Jan. 1, expect nothing less than a special New Year's Day brunch featuring hearty Spanish hangover cure-all soup! 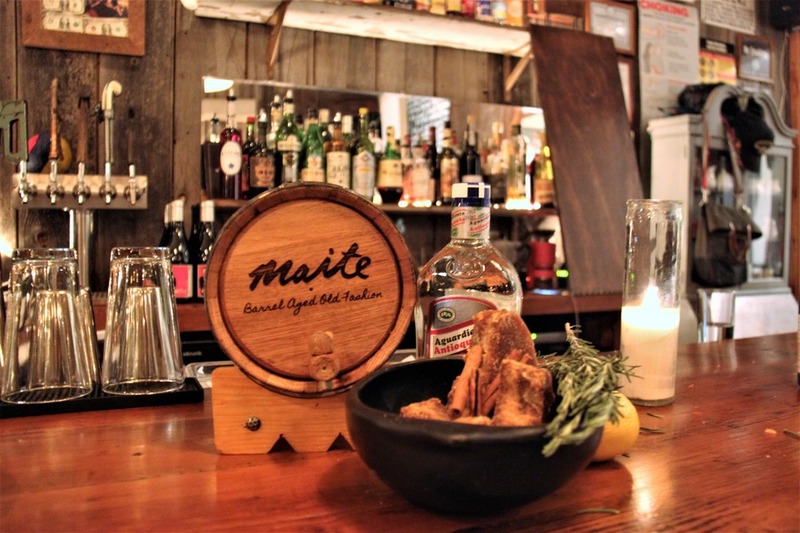 This Saturday night, Maite, which centers on seasonal ingredients with Colombian, Basque and Mediterranean influences, will be open from 5 to 11 p.m. On Sunday, Jan. 1, Maite will be serving brunch from 11 a.m. to 4 p.m.
On Christmas Eve, get ready for the lechona, whole roasted pig, stuffed with rice and peas, plated with arepa, and, conveniently, with a large piece of crispy pig skin, to help you scoop up the stuffing. Explaining that it’s “kind of like making a porchetta,” Schmidt tells us that every country expresses roast pig differently, based on whatever ingredients are readily available from their vegetation. “Of course, in poor countries, you have potatoes and rice with anything you can,” she adds. Chef Ella Schmidt with the Christmas Eve pig. Cristin Noonan for Bushwick Daily. The pig itself has been brought over from an Italian farm in New Jersey, and weighs a whopping 51 pounds. Schmidt has already endearingly named it "Bushwick," giving me license to write the following: Bushwick will be roasted for 15 hours and priced reasonably for what you’re getting between $18-21. 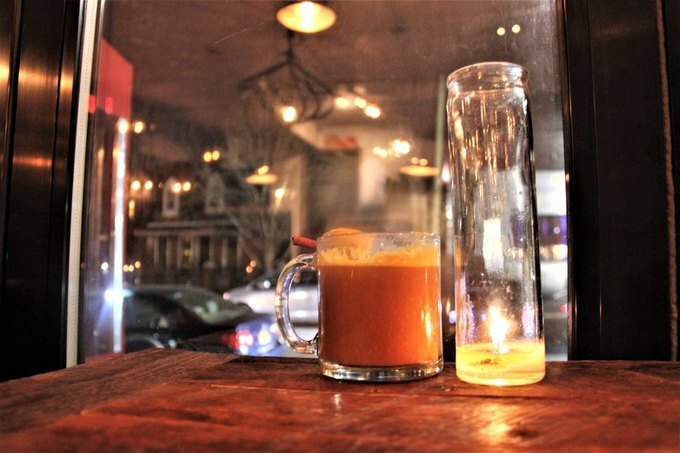 Pair it with their signature Colombian hot toddy ($12), which tastes unlike any hot toddy I’ve ever had—it features passionfruit along with cinnamon, panela, and aguardiente. Maite, pictured in from of Central Avenue, made by Maite bartender Lorena Sanchez. Cristin Noonan for Bushwick Daily. Aguardiente, which has a higher alcohol content than wine and lower alcohol content than liquor, is anise-flavored beverage, and comes from sugarcane. “Kind of like sambuca,” notes Schmidt, and adds that in Colombia it is typically consumed in the form of shots, “so you don’t get as wasted,” she smiles. On New Year's Day, Maite will be open for brunch. Their which menu will be more or less the same as their dinner menu with an egg here and there for good measure. They will also be serving a special Puchero Santafereño soup, which is meant for two people and priced at $35—perhaps you and your hangover buddy can pummel through with together (awww)! Duck Egg with arepa and manteca, garnished with cilantro. Cristin Noonan for Bushwick Daily. The Puchero Santafereño, which many Colombians swear by, comes from Bogatá, and is made with chicken, pork, and chorizo, potatoes, yucca, plantains, and comes served with avocado, rice, cilantro, and cabbage. “And of course you drink it with beer,” notes Schmidt, if you need to add a little hair of the dog. Other enticing options include Maite's Duck Egg ($13), which is served atop arepa with Manteca lard and paprika butter sauce. 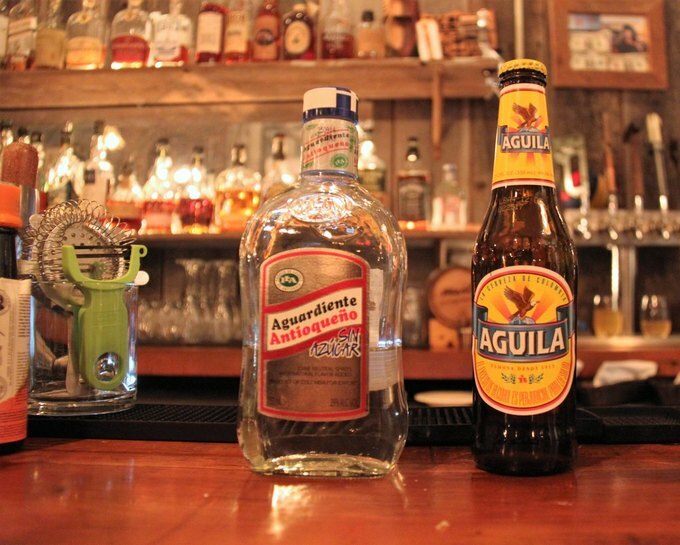 Aguardiente and Aguila lager, obviously. Cristin Noonan for Bushwick Daily. Bottles of Aguila Lager, brewed in Barranquilla, Colombia, will be served at $4, which is a dollar less than usual, on both New Year’s Day and Christmas Eve. 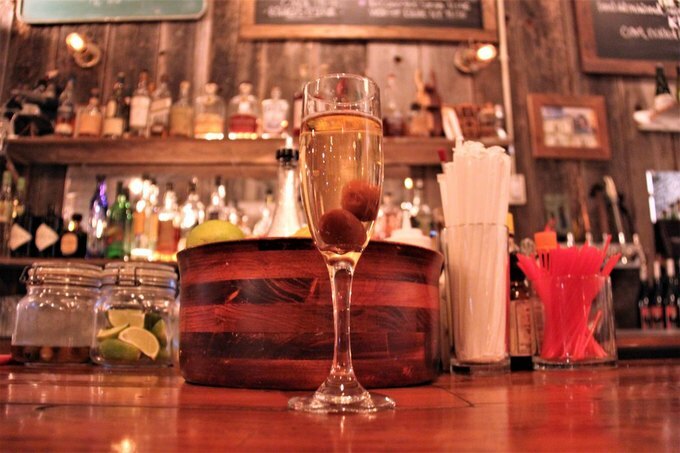 If you’re more of a sparkly kind of drinker in the morning, definitely get the Cava, a Spanish sparkling wine, which is poured gracefully into a glass over a few bourbon pickled grapes. Usually it is priced at $11, but it will be on special for $8! Cava, prepared by Lorena Sanchez. Cristin Noonan for Bushwick Daily. Happy holiday, Bushwick. If you’re around, go to Maite! The beautiful bar at Maite. 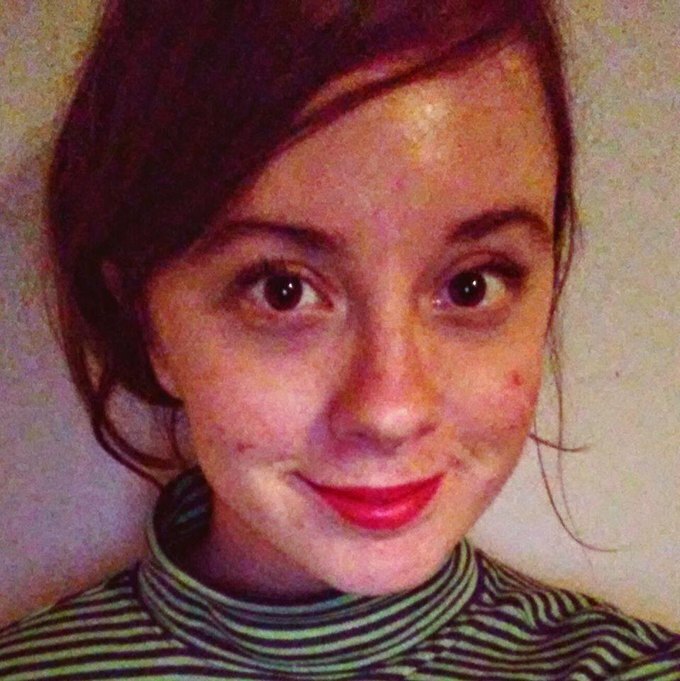 Cristin Noonan for Bushwick Daily. 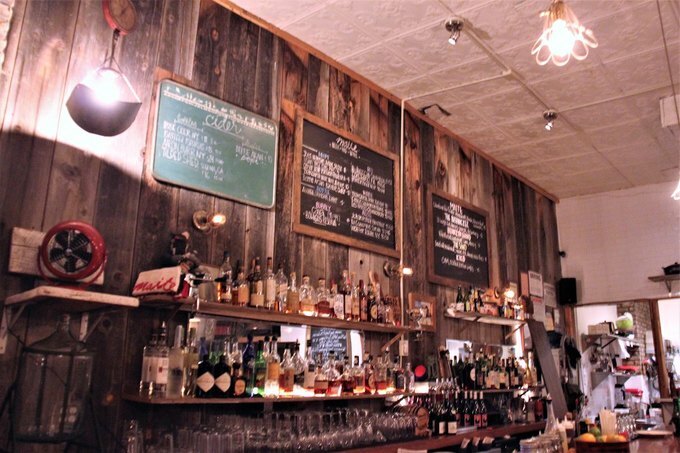 Farm to fork restaurant in Bushwick focusing on Colombian cuisine. 159 Central Avenue, Brooklyn, NY, 11221. Sun, Tues & Wed: 5 p.m.-10, Thurs-Sat: 5 p.m.-11. Follow the The Unknown Bar on Facebook and Instagram.